Growth in residential solar panel installations has sputtered in recent years and an eerie parallel from a decade ago — namely elements of the mortgage crisis — may be part of the reason. Much was made at the time about solar installations breaking record numbers and asserting itself as a much more integral part of energy consumption. But following a high-water mark reached in 2016, the pace of solar installations has fallen off. The same holds true for residential installations. As an infrastructure ratings analyst with 30-years of experience in various parts of the industry and working with a variety of intermediaries and institutions, I can see that the increased availability of capital, low or zero upfront costs to the homeowner and not tying in other lenders can encourage more unethical activity as it did at the local level 10 years ago. Transparency for homeowners suffered causing less-informed decisions. And we’re starting to see the same thing for homeowners with solar installations. No doubt rate restructuring and diminished financial incentives have played a part in cooling appetite for solar installations. But one possible answer worth discussing in greater detail appears to be perverse incentives. Despite the benefits solar installations have presented to both individuals and companies, even good public policies can be abused and hurt the less-informed consumer and, as such, warrant vigilance and improvement. There is a lot of money to be made with solar installations. And localized programs dangle the promise of lower energy bills over time like a carrot to consumers. 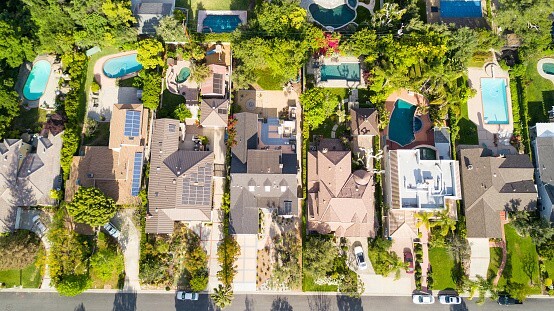 There are solar subsidies in states like California and New Jersey that encourage the use of solar, with California now making it a requirement beginning in 2020 for new homes to have solar electric systems in place. However, numerous instances of unrealized promises and hardships driven by inaccurate forecasts, asymmetric information or less than ethical sales practices from middlemen are putting the brakes on this rapidly growing sector. Long Island provides an example where a good idea to save energy costs could become problematic without enough guardrails in place to protect it. Related public policies that have also had unanticipated problems are the Property-Assessed Clean Energy (PACE) programs. Implemented under state legislation, PACE programs allow home and commercial property owners to fund energy-efficient retrofits at no upfront costs to them. Many companies and individuals have seen the net benefits. However, there are some who did not have all the information at their disposal that are now saddled with debt they cannot afford or are now tied down to their home for longer than they would have liked. Part of the reason may be because the moment there’s a government-sanctioned program in place, people will inevitably find ways to abuse it. Proof of this has surfaced in California in recent months with loan defaults on PACE loans rising substantially. Additionally, there has been evidence of homeowners taking out loans for solar panels they cannot afford because some contractors are not being transparent with homeowners on how to pay for them. The state, in response, has proactively taken steps to tighten protections for homeowners from opportunistic solar installation operators by passing state legislation to reform the PACE program. What risks do these solar power transactions present for homeowners? What costs and constraints does it create? Whom does the responsibility of maintaining solar panels rest with? These are some questions that need to be answered. Homeowners have been entering into solar panel leases with clear environmental benefits and no costs, which seems like a win-win. A closer look, however, shows that the lessor has a senior lien on the property until the solar installation is paid for and there is no clear process to ensure that the property can support what effectively is a new loan on top of an existing mortgage. The leasing decision also usually excludes the original mortgage lender and may impact the ability to sell the home. This is important because the typical home is sold every seven years, while solar leases may extend for 10–25 years. One way to help prevent these perverse incentives from metastasizing would be a dedicated, independent and robust audit system created by the government to ensure that its policies are achieving the desired result. The dilemma here, however, is that no government wants to create a regular check on itself. Why? Because it opens the door to criticism, and not always the constructive kind. An independent audit system would allow a program to be tweaked positively. And while there would be an incurred cost to that, it is a necessary cost. The total investment in renewables in the US is in the billions so spending a few percentage points to ensure that the money is well spent seems well worth it. Hard sell tactics by some less scrupulous localized players that helped precipitate the mortgage market crisis of over a decade ago are emerging in greater numbers in the solar market. Aside from the clearer near-term benefits, what longer-term risks does solar power present for homeowners? What is the dividing line between homeowner and solar equipment provider for maintenance, property damage and liability? What are the impediments and costs to early termination? These are some questions that need to be answered upfront for homeowners to help prevent a good idea from turning into a bad idea very quickly.